CONFESSIONS OF A MASTER CAREGIVER – The musings of a daughter's journey as an unexpected caregiver. Women’s History Month may have ended, but we must still raise the flag for awareness and address the great need of having uncomfortable conversations about how this disease is highly affecting one gender more than another. Men get Alzheimer’s as well, but women get it and serve as caregivers at a disproportionately higher rate. Of the 5 million or more Americans living with Alzheimer’s Disease two-thirds are women. It’s not a disease due to old age as once thought to be the reason why women are at a greater risk; because we’re living longer than men. But new studies are suggesting the early onset of Alzheimer’s may come about because of biological and social reasons; such as biological or genetic variations or differences in life experiences. And not only are women first in line to get the disease, we’re also serving in greater numbers as caregivers to loved one who have Alzheimer’s and Dementia. I remember asking myself when I was caring for my Mom when I fell ill, “who cares for the Caregiver?” Ladies this is a battle cry that we have to be our best self, we have to take care of our health so that we are able to take care of someone else and be our sister’s keepers by checking in on one another. In the US alone, about 13 MILLION WOMEN are either living with Alzheimer’s or caring for someone who has it. Almost TWO-THIRDS of Americans living with Alzheimer’s are women. Women in their 60s are more than TWICE AS LIKELY to develop Alzheimer’s disease over the rest of their lives as they are to develop breast cancer. MORE THAN 60% of Alzheimer’s and dementia caregivers are women. More specifically, over one-third of dementia caregivers are daughters. Women take on MORE CAREGIVING TASKS than their male counterparts – and care for people with more cognitive, functional, and/or behavioral problems. Nearly 19% of women Alzheimer’s caregivers had to QUIT WORK either to become a caregiver or because their caregiving duties became too burdensome. One other factor to consider for women who are serving as caregivers or who fall to the illness is depression. 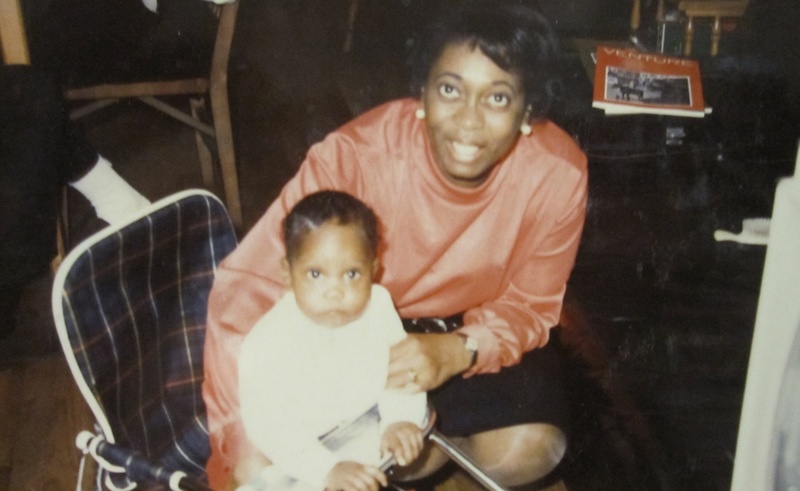 When serving as a caregiver to my Mom, I didn’t think I was depressed. I thought my inability to move forward with my goals, or actions was due to being tired in my role, but after going to therapy sessions, which I highly recommend in general, I discovered, my feelings of being stuck was brought on my depression. It didn’t rear itself in sadness, depression has many faces and it’s not part of being a woman, as some men think. There are our numbers, so ladies what’s the next step? 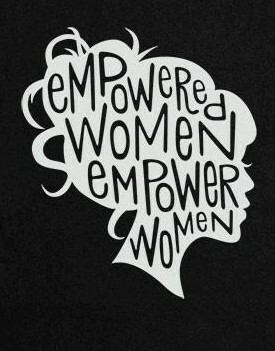 (and men too… we need all hands on deck)? First we must start having conversations about health and keeping records of at least your nuclear family’s medical history. Next let’s work to remove the stigma of mental health and Alzheimer’s by using your voice and advocating for and supporting our sister-caregivers. Some may wonder how can they help, but may be fearful to ask. Help could mean assisting with housekeeping, watching their loved one by keeping them entertained or fixing a meal, while the caregiver takes a nap or puts their feet up. You could offer to get or bring them groceries, a meal or supplies. Or be a support by sitting and talking with them, making them laugh; anything to lift their spirits will be appreciated. And with all of the above you must try to live your best wellness self. From personal experience it wasn’t always easy, but I found ways to keep both my Mom and I moving by walking the dog together, or taking a quick walk in the park when her mood allowed. My ace-ace-in-the-hole was my dog. Where ever he was, my Mom wanted to be too. By incorporating a healthy diet and exercise you can lower modifiable risk factors, meaning factors we can control that may help reduce our risk: diabetes, midlife hypertension, midlife obesity, smoking, depression, cognitive inactivity or low educational attainment, and physical inactivity. Remember a healthy body, our root, begets a healthy mind, our leaves. If you would like more information about Women and Alzheimer’s and the resources and support that’s available please visit the Women’s Alzheimer’s Movement. 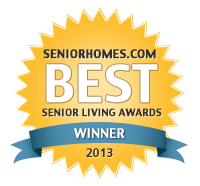 For caregiver assistance or support, find tips here. For depressions assistance go here. I was honored to have a “naked chat” as she says with Karen Taylor Bass, award-winning PR Expert, Author, Speaker, Yogi and the list goes on; on her podcast “Late Night with Karen Taylor Bass”. Our chat was about Alzheimer’s, Caregiving, parenting our parents and our own wellness. People are living longer, senior care is at a greater need and when it comes to Alzheimer’s and Caregiving, not only is the cost for care getting higher, and women are at the forefront of all of this. I hope by sharing my journey and offering information, it will begin to remove the stigma and allow people to feel open enough to have these very important conversations. I appreciate if you would listen, comment and if you have any questions please feel free to contact me. These discussions, especially for women and women of color need to be had, who cares for the MASTER CAREGIVER? 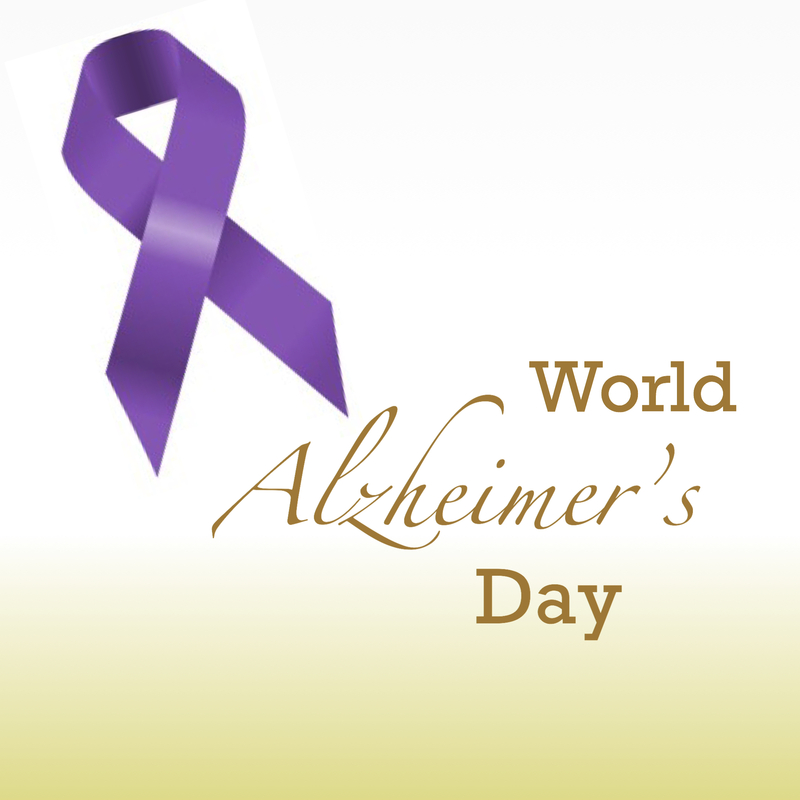 Today is World Alzheimer’s Day a day that may only be important to someone who is caring/cared for a loved one or knows someone with the disease, but it’s a day dedicated to raising awareness that nearly 50 million people worldwide are living with this disease and to challenge the stigma surrounding it. I’ve had a brief writer’s block a lot due to life stuff, but I’m here and what better day to inject my words and address the stigma surrounding Alzheimer’s and dementia related diseases as well as to bring awareness to people of color on the high risk that we face. There has been a shift within the past few years towards removing the stigma around mental illness and though Alzheimer’s falls under its own umbrella, those in this fight to end Alz can attest that it’s even harder to get people and businesses invested in, and talking about a disease that currently has no cure. But in rising awareness this is not a sprint it’s a marathon. What keeps the stigma going? Embarrassment, fear, culture, not speaking on illnesses, but it’s those fears that keep us close and stuck. 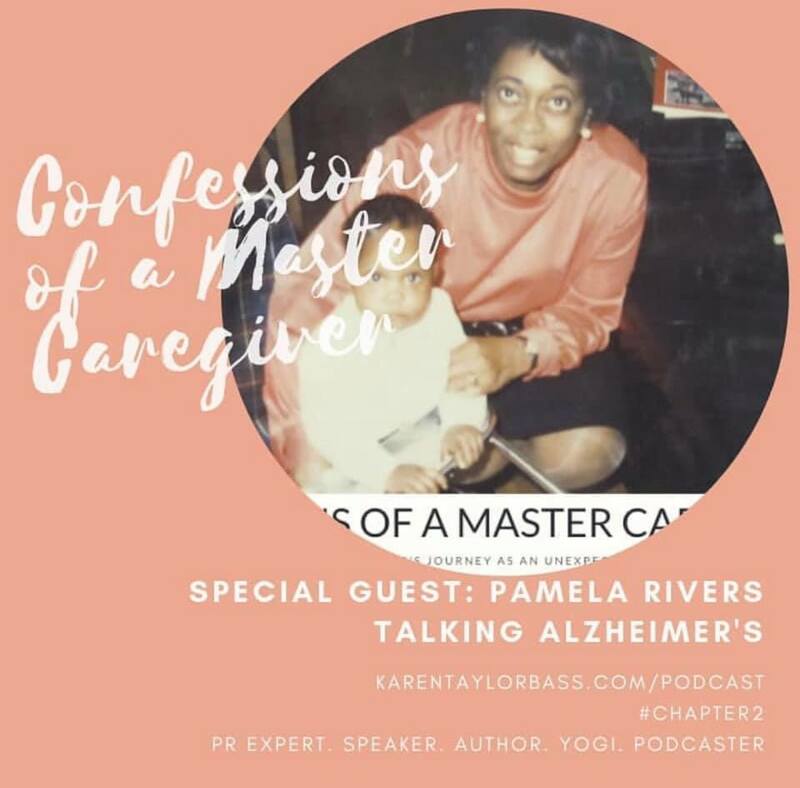 I’ve personally never had a fear of Alzheimer’s perhaps because I faced it with my maternal grandmother, but early on helping my mom, I definitely had moments of embarrassment where all I could do was to stand in that moment and react as best as I could. 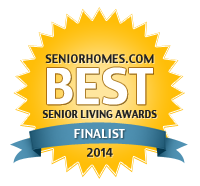 As I grew in my role as her caregiver, the embarrassment subsided, I had no time for it. I had to use my brain, my mind for the both of us and help her as she was experiencing changes that she had no control over. As a caregiver you know that things are going to happen; I had to let them happen, I had to be as prepared as best I could be and when they (changes, words said, etc.) were going to happen, I knew that how I handled those changes was going to be key an most important. I felt sorry for my mom and that empathy turned to my figuring out how to better help her and other caregivers. To begin to remove the stigma it began with talking and sharing and writing and becoming a voice for the voiceless. As a woman of color, specifically a Black woman where our community doesn’t speak about health crisis as much as we should, raising awareness became increasingly prevalent. Too often we sugarcoat things, or have feelings that something will subside; now bring in Alzheimer’s disease; a disease with no cure that changes the brain. Just because we don’t speak about something doesn’t mean it’s not going to show up in our lives and it also doesn’t mean that you or a loved one will get it, but we must begin to have conversations. By staying silent about our medical history with love ones it only hurts ourselves. For instance, there is a link between hypertension and diabetes and the risk of Alzheimer’s disease. Blacks and Latinos are two times at risk for developing Alzheimer’s. And while genetic factors aren’t known to explain a higher-risk, conditions such as high blood pressure, diabetes do. Even socio-economic disadvantages (income affects healthcare) also plays a role. This awareness on how physical and heart health is linked to brain health shows that we have to support one another and encourage each another to get support services and available treatment when needed. How can you spread awareness and help to stop the stigma? Use your voice and have conversations. Use appropriate and respectful phrases. Correct misinformation regarding Alzheimer’s disease. Help someone you know who may be a caregiver to a loved one with Alzheimer’s disease, it’ll give you a first-hand view. Encourage the individual to pursue hobbies, perhaps offer a list of activities they can do at home. Attend an event or fundraiser. On this day even if your life or a loved one’s life hasn’t been touched by Alzheimer’s perhaps you can say a prayer for the person living with AD, for a caregiver or former caregiver or contact your local government office to ask that resources are increased for research and medical care, and to keep everybody lifted whose life has been affected by Alz.